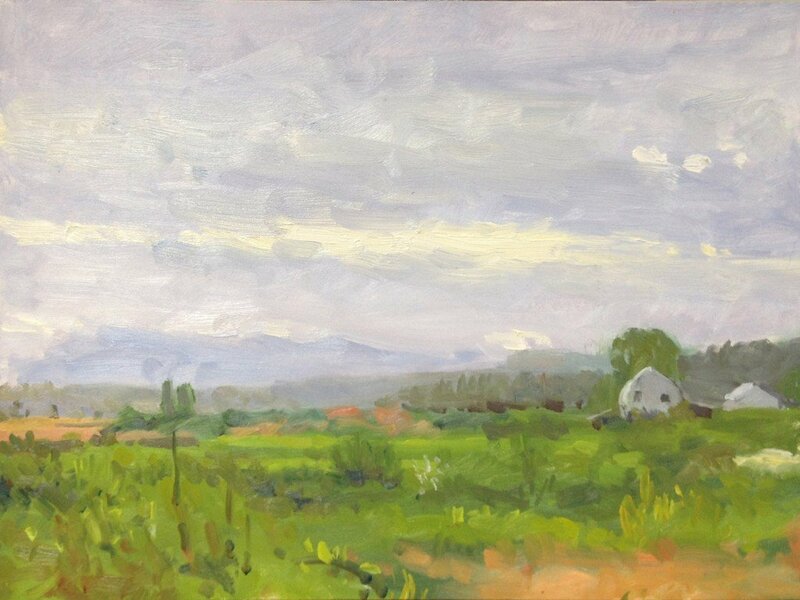 This study was done on Lowell Larimer Road, overlooking the Snohomish Valley. I was painting on site w/ Mehdi Fallahian. I did two small studies before the heat made the field untenable.